Vitanica has one purpose in mind… Natural Health Care for Women Their commitment is to serve women by providing education, research, and the finest quality in effective natural supplements. Vitanica prides itself on their personalized service, attention to detail and responsiveness to the consumer’s needs in the area of women’s health. They seek excellence in their formulations by including optimal dosages, superior choice nutrient sources and clinically scrutinized products for maximal therapeutic benefit. We strive to use the best ingredients in our products. Their product line is run in small batches to ensure the freshest products possible. 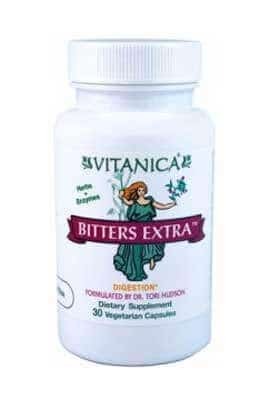 Vitanica’s entire product line is vegetarian suitable with the use of plant based capsules. Traditional bitter herbs promote healthy digestion. Includes a full complement of plant-based digestive enzymes to support digestive functions more fully – in a convenient, easy to take capsule. 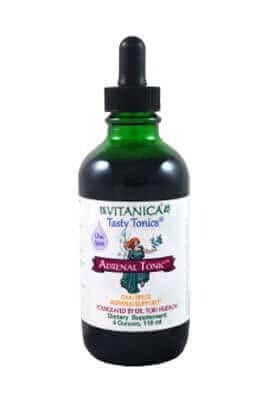 Tasty Tonics ® are concentrated liquid herbal formulas designed with therapeutic doses and blended with natural flavors & essential oils to taste great and encourage compliance for daily use. Adrenal Tonic ™ is formulated to support the body’s response to stress. The delicious Chai tea natural flavor makes it fun! 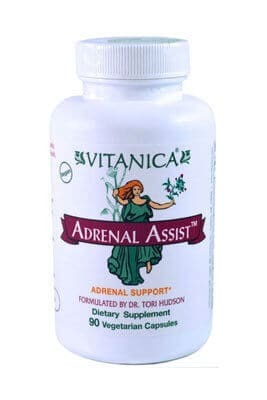 Provides nutritional and botanical support for healthy adrenal gland function and adrenal hormone production; supports the initial response to stress as well as prolonged exposure to stressful situations.